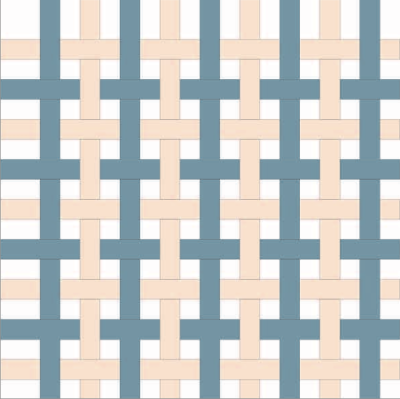 The next in our series on Cloth is a guide to weaves and to designs. As with the A-Z this is meant as a reference tool, which we will link to as we publish more detailed pieces about trousers, jackets or overcoats. 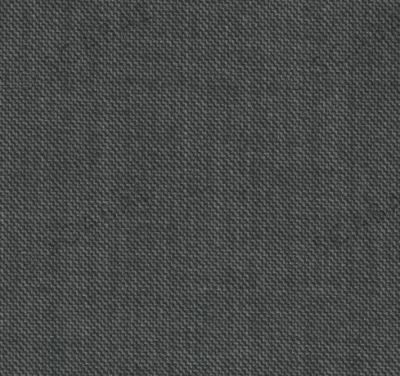 When we describe the benefits of gabardine for trousers, for instance, and how its tight weave creates a cloth that is particularly good at holding its shape, we will link to this page for an explanation of that weave. 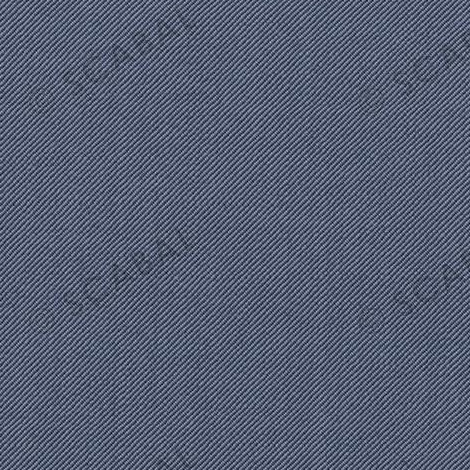 Or when we recommend cloths for business suits, and suggest that a little surface detail can be attractive – such as birdseye, pick-and-pick or end-on-end – we will link back here for details and illustrations. 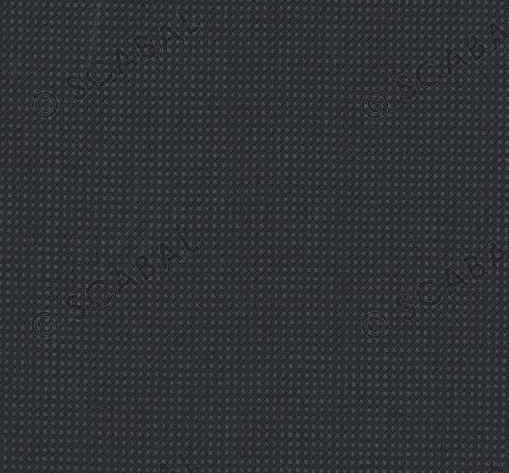 Readers can also use this page to browse these different kinds of technical benefits, or aesthetic designs in cloth. We have spent a while pulling together technical sketches for the different variations, as well as pictures of the cloths themselves, but there is still the occasional gap we will fill in later. 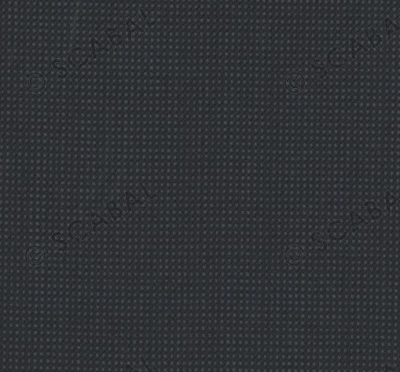 All images should be expandable by clicking on them, in order to see more detail. There are really only a small number of weaves – in most definitions, three. Below the three weaves are explained and illustrated, followed in each case by designs, varied constructions, and secondary weaves that spring from them. We have included pictures of each, as well as technical sketches or plans where available. 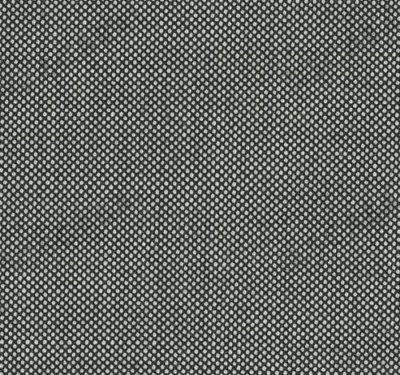 A plain weave is the most basic type of weaving. 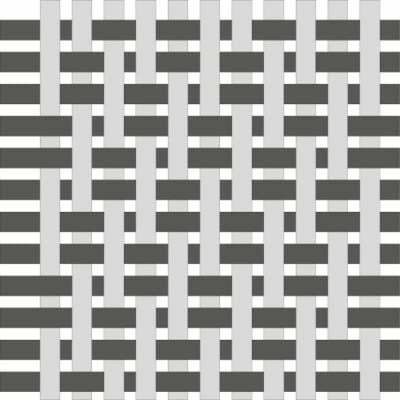 Each horizontal weft thread is interlaced with each vertical warp thread by going over the first and under the second, over the third and so on. 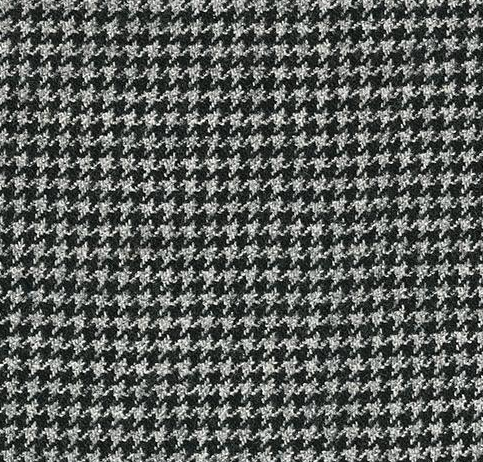 Because of such rigorous interlacing the plain weave is the most solid construction. The fabric can be very light and airy without sacrificing stability. 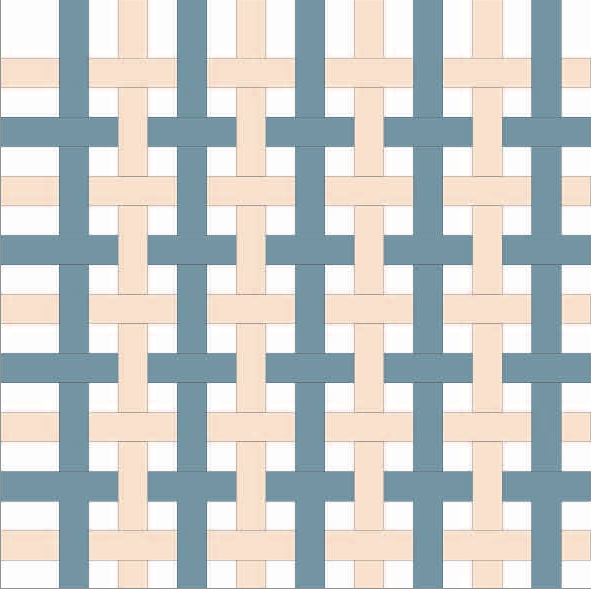 A design using a 1a1b arrangement of yarn colours on the warp and 1a1b on the weft. 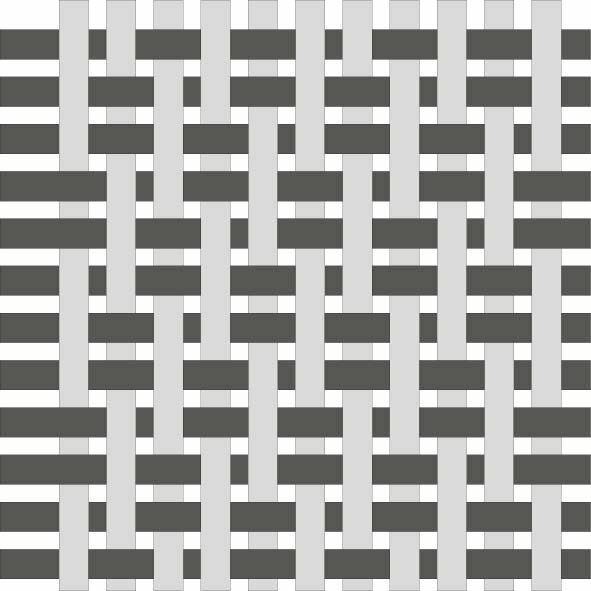 The same sequence is used to obtain a pick-and-pick design on a twill weave. 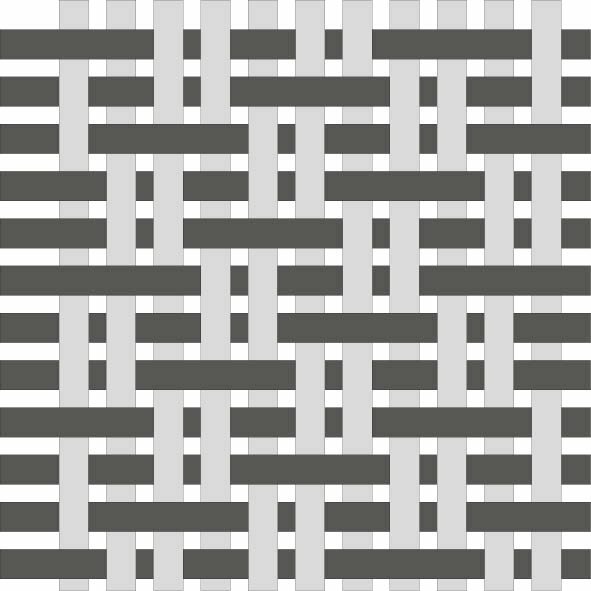 Based on a plain weave, the original seersucker effect was obtained by using two different kinds of yarn in the warp, with one having a different twist, yarn count or containing different fibres. During the finishing process this yarn would shrink more or less than the other, creating the wavy effect down each alternate stripe. Nowadays seersuckers made using these techniques are rare, as the difficulty of controlling the shrinkage makes them more expensive and less reliable. It is more usual for one type of yarn to contain elastane and the other pure cotton. Popeline is the gabardine of the plain weaves. 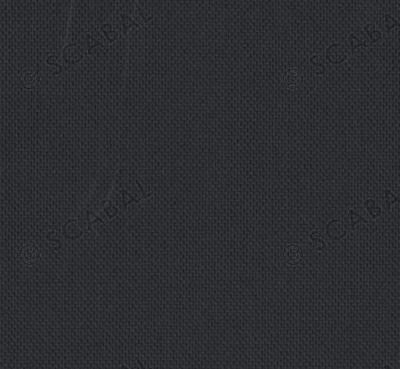 As with gabardine, the warp density is almost double the weft density. 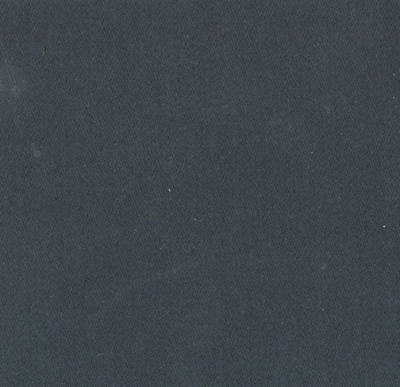 It is not a common construction for suiting cloths, being more often used in shirtings. Hopsack is a modification of a plain weave in which two threads in the warp are followed by two threads in weft. This creates the appearance of small cubes. 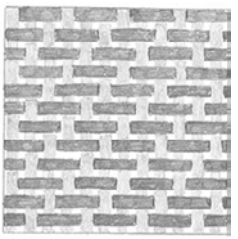 This type of weave is very popular in jacketings, but can sometimes be seen in suitings and outerwear. 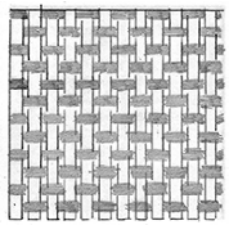 A rib weave is a form of enlarged plain weave. 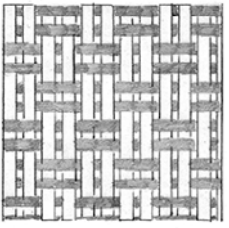 The rib can be in the warp or weft, but is more common in the weft. 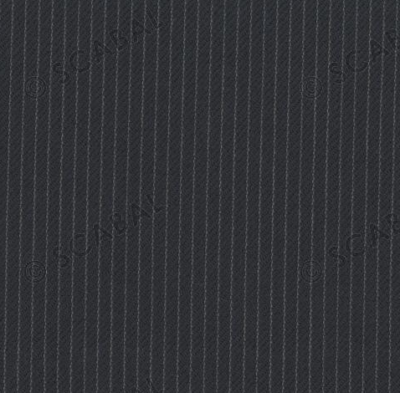 The effect is similar to a faille or bedford cord, but the ribs are obtained purely through the weave. 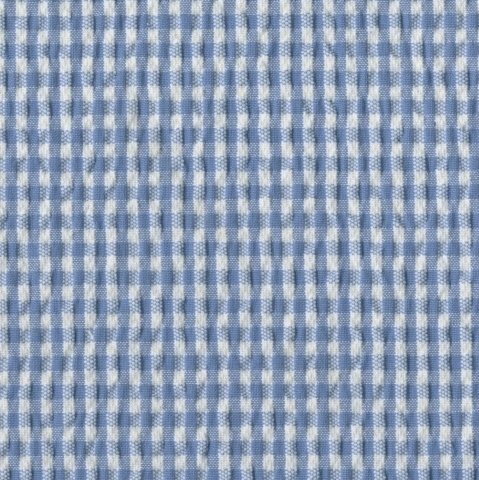 A twill’s characteristic diagonal appearance is created when a warp thread stretches over and under two or more weft threads. 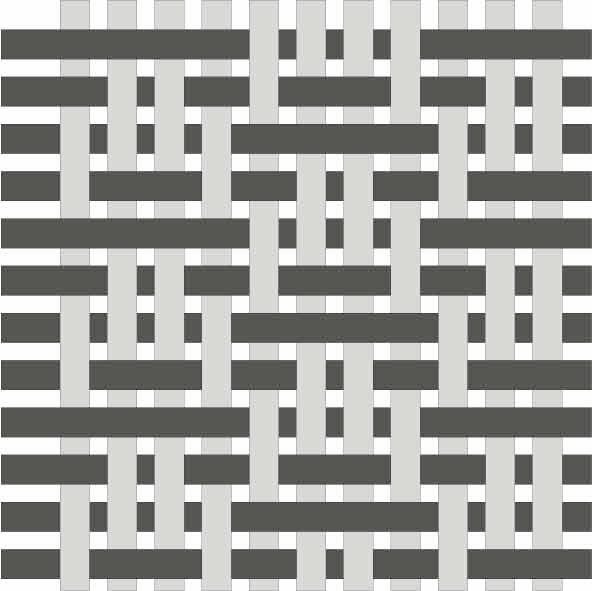 The most common is the 2-by-2 twill, where two warp threads go over and under two weft threads at a time. 3-by-3 twills, and sometimes even 4-by-4, can also be found. 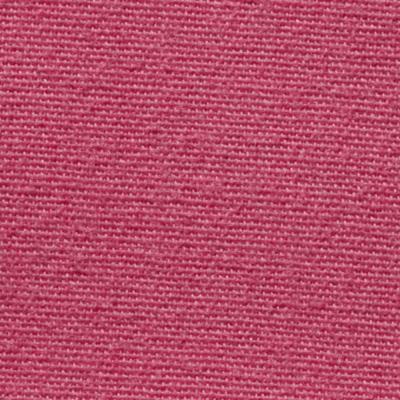 Twill fabrics offer great versatility and drape, which makes them excellent choices all year round. 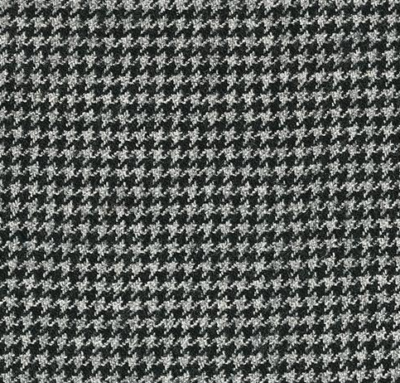 A houndstooth design is based on a 2-by-2 twill, with a 4-and-4 sequence of colour for both warp and weft. (Four yarns of the light colour and four of the dark colour). 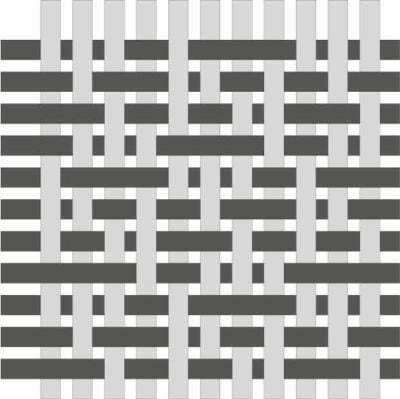 It starts from a 2-by-2 twill and has a yarn sequence of 1 light then 1 dark in both the warp and the weft. The same effect is possible starting from an hopsack weave. 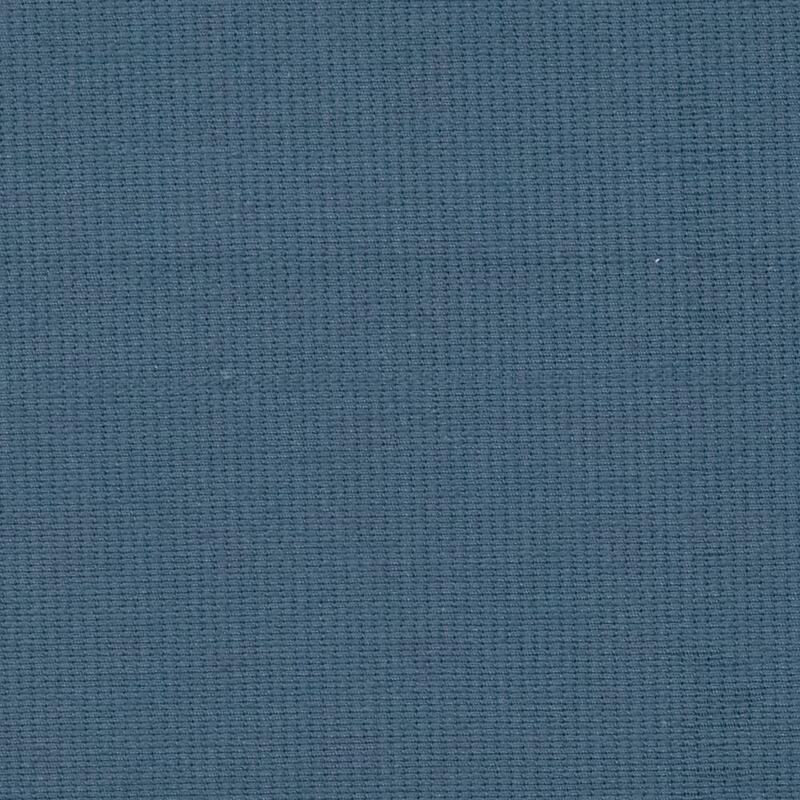 Solaro is a classic design based on a 2-by-1 twill with complimentary colours in the warp and weft. 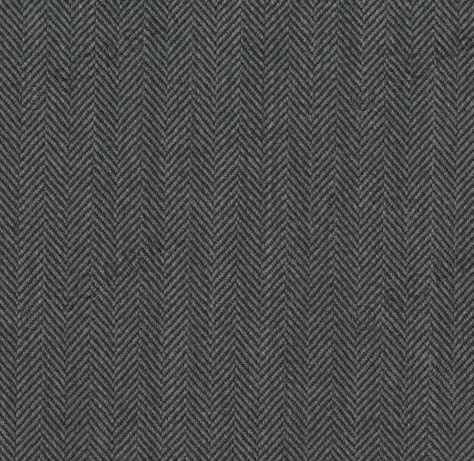 It is normally woven as a herringbone, as pictured, which is itself a weave variation on a twill. 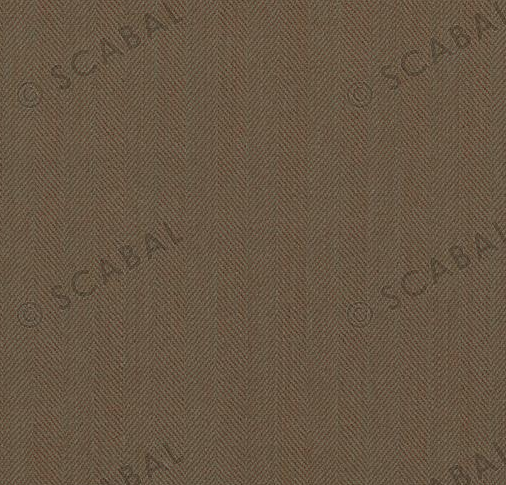 The classic solaro has a light brown warp and a red weft. The colour contrast of the two gives it an iridescent quality. 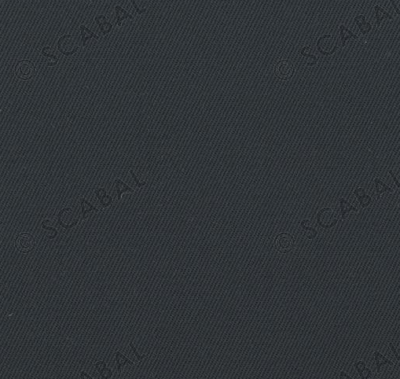 Gabardine is based on a 2-by-2 or 2-by-1 twill, with a warp double the density of the weft. 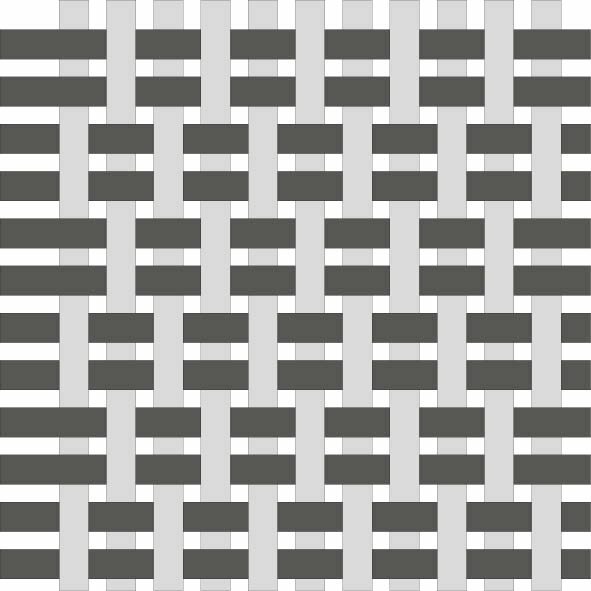 This creates diagonal stripes on the face of the cloth. The construction of the cloth is very tight, so it is often used for trousers. 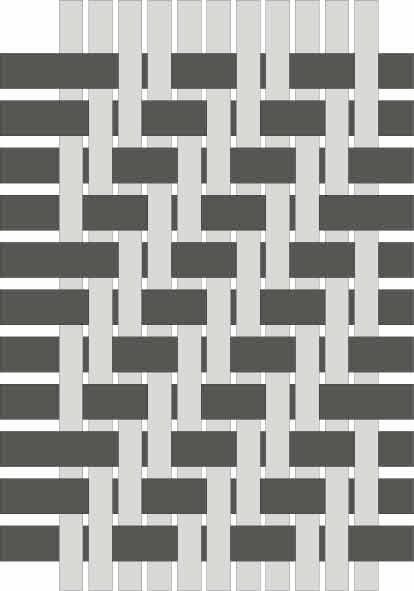 A 2-by-1 twill is a twill where one vertical warp thread goes over two but under only one horizontal weft thread. It is also known as a prunelle. 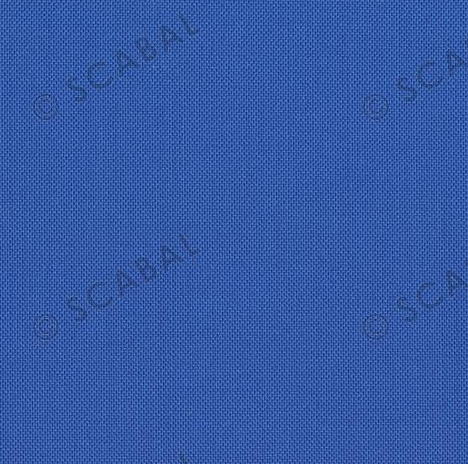 A common characteristic is that the face of the fabric looks different from the back, especially if different shades are used in warp and weft. Here, the twill weave is modified so the diagonal structure changes its direction after a consistent number of warp threads. The result is a zig-zag effect. This looks a little bit like the skeleton of a herring, hence the name. 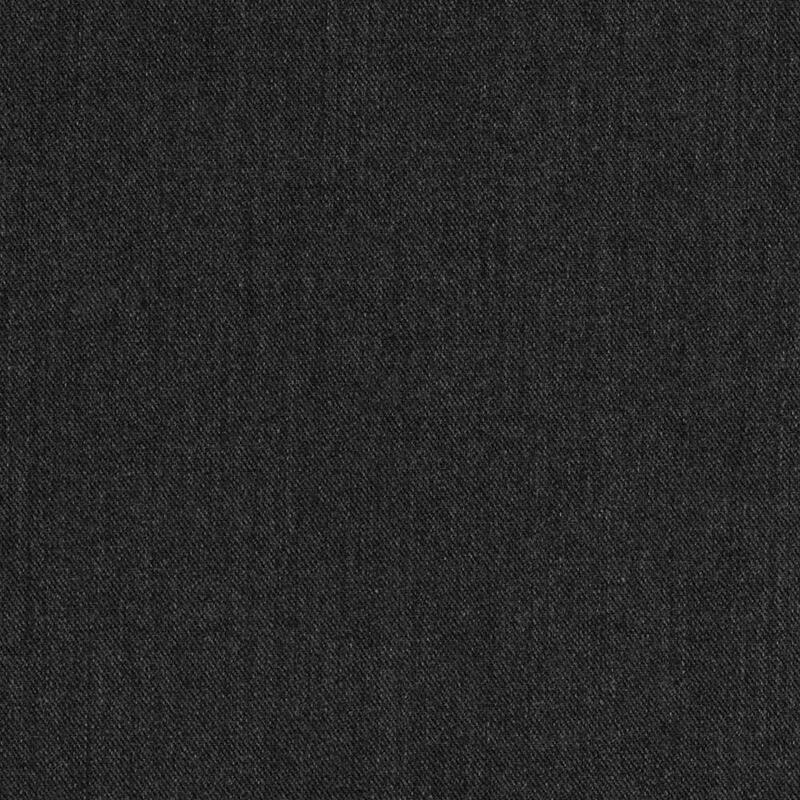 A complex twill, as can be seen by the development of the twill pattern in the technical drawing. 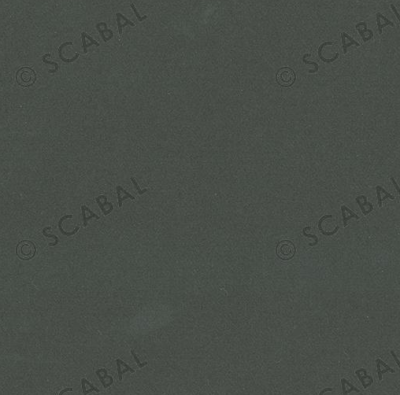 It creates a cloth with great body and drape, and so is often used for trousers, as well as overcoats. 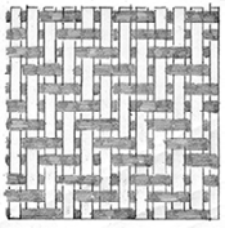 Bell hopsack is another example of a rather complicated secondary weave. 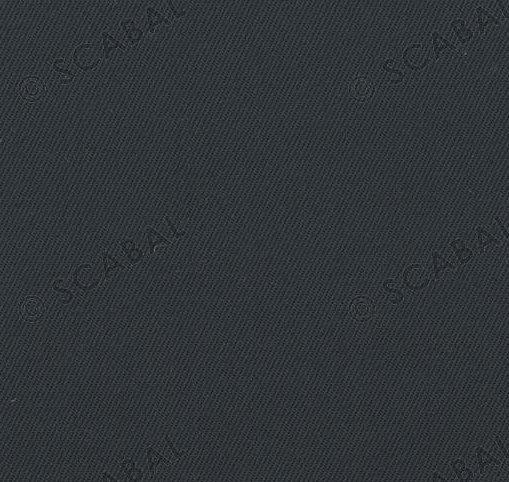 Although based on a twill, this also has similarities to a hopsack in its appearance. 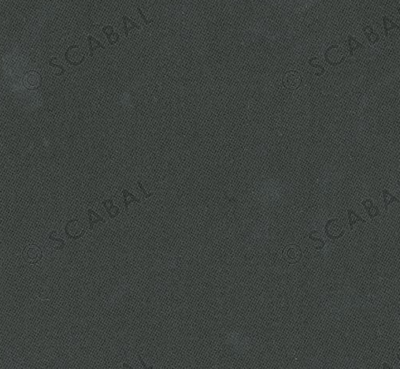 It is usually reserved for jacketings as a result. 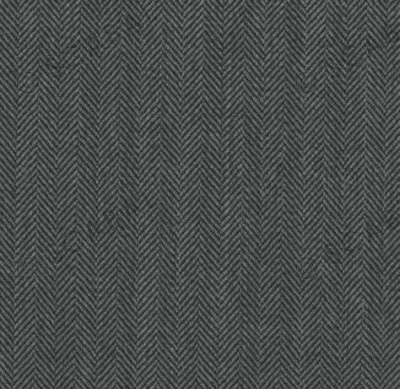 A birdseye is a spot-like micro-design for worsted wool. However, to obtain the round “eye” in the cloth, the sequence of colours is also fundamental. Without it, the eye wouldn’t be circular but square, which wouldn’t produce the same avian effect. 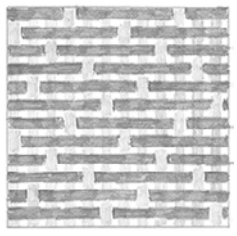 Satins are created when the weft is allowed to pass over multiple yarns. This creates a very smooth face, and a very rough back. 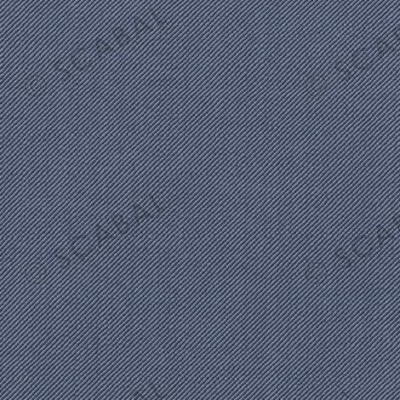 Normally satins are heavier than plain weaves or twills, but they have a soft handle and excellent drape. 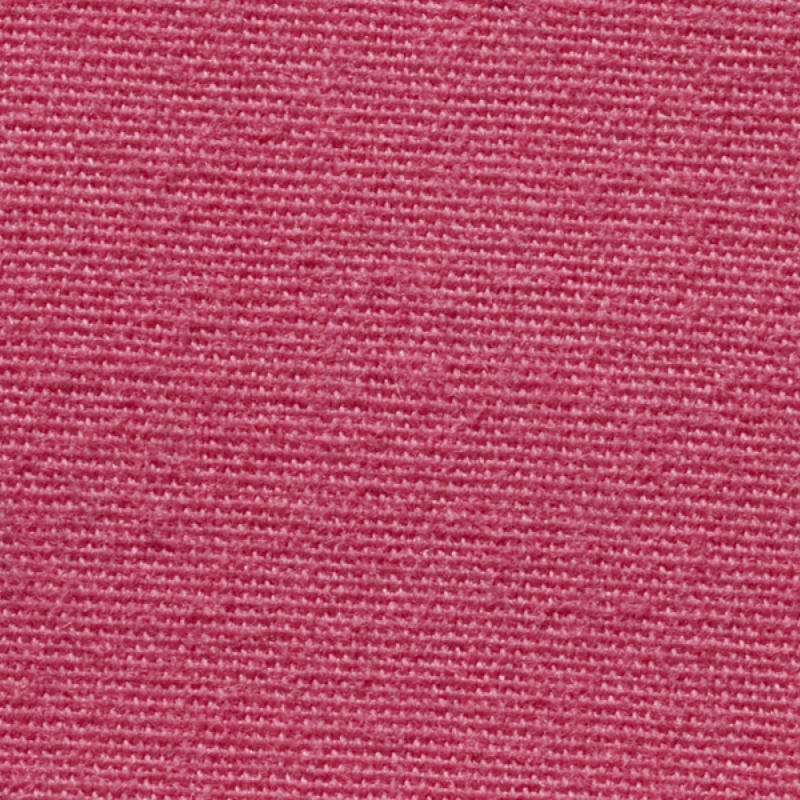 Satins are most significant for their secondary weaves, rather than for designs or variations in construction/yarn. 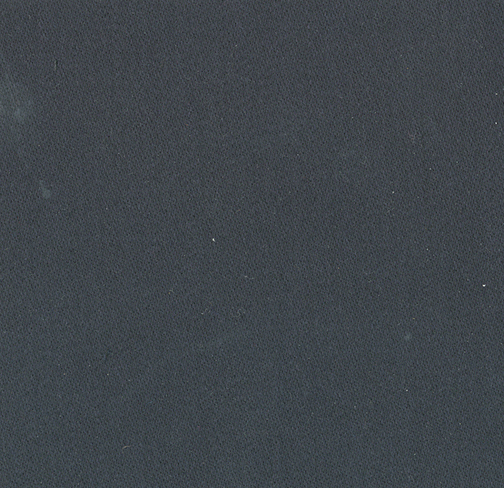 The differences in the appearance of the cloth, however, are very subtle. Barathea is a variation on satin usually used for evening wear. 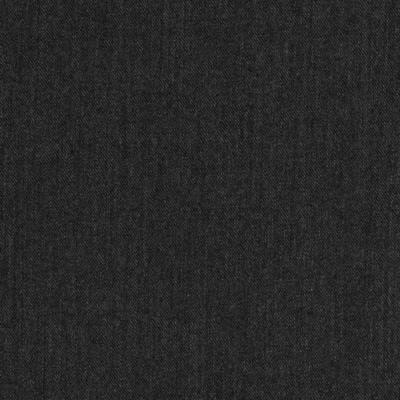 As you can see from the technical drawing, the weft (left to right) is passing over fewer warp yarns than a plain satin, and goes under more. It allows two warp yarns to appear on the face, and goes over one and three, alternately. The other best-known variation on satin, with single warp yarns showing above the left in a diagonal direction. Also at greater remove from satin, and more similar to other weaves, given the weft threads do not pass over more than one yarn at a time. Many cloth designs can be applied on different weaves, and therefore don’t fall into the categorisation above. 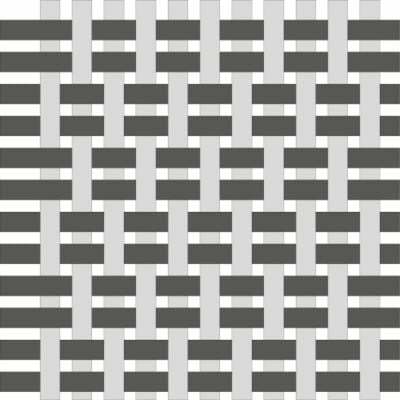 A stripe is a stripe whether you find it on a plain weave, a 2-by-2 twill or a satin – although some of these designs do suit some weaves more than others. You can follow the discussion on The guide to cloth: Weaves and designs by entering your email address in the box below. You will then receive an email every time a new comment is added. These will also contain a link to a page where you can stop the alerts, and remove all of your related data from the site. This is a very well structured and very useful overview. It would be good if an indication of formality could be provided. 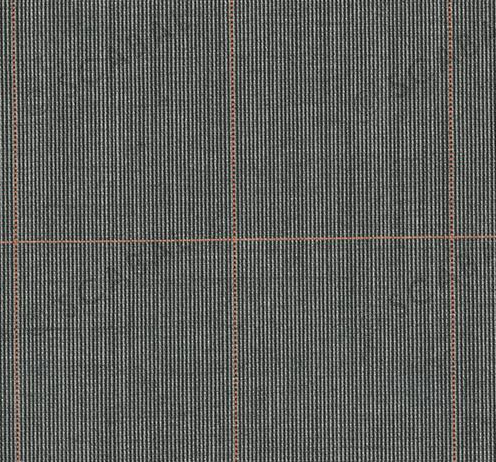 So, which fabrics are intended for suiting and which as separates. That might be a little misleading as many things affect formality, from finish to colour to yarn to weight, as well as weave/design. With English shoe brands you can largely rely on the pricing, so will find that Crocketts are better quality than Barker, for instance, and the Crocketts Handgrade better quality again. Please also read around the site on this area (including comments) as there is a lot of useful information that cannot all be reproduced here. Who did write the words? Not you Simon surely. Popeline? 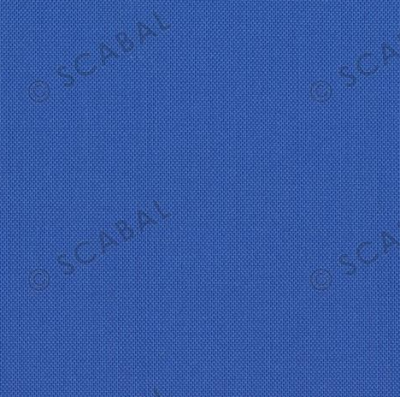 French word for poplin, to make shirts from. Intellectually or technically this may have merit, but no use to go to a tailor with. Making the choosing of cloth more complicated as it might raise questions about cloth which are meaningless. 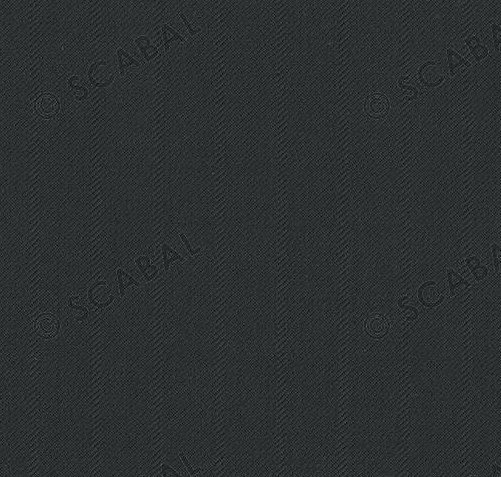 Me with Scabal, clearly some French slipped in! No, it is not intended to go to a tailor with. A great resource and great addition to a thoroughly informative series, especially for those new to the nuances of suiting. Coming off topic here, for those such as myself who have been a long time reader of your blog, I’m still taking my baby steps to build up a solid wardrobe. With such a plethora of resources out there, both good and those less so, are there any particular websites in a similar vein to yours that you may recommend? Would you class blue wool cavalry twill trousers as formal or casual? I guess it’s more around whether they can be worn without a jacket or with a casual jacket. This is excellent Simon, thank you. The text is clear and precise and matching it with good, clear images helps even more. 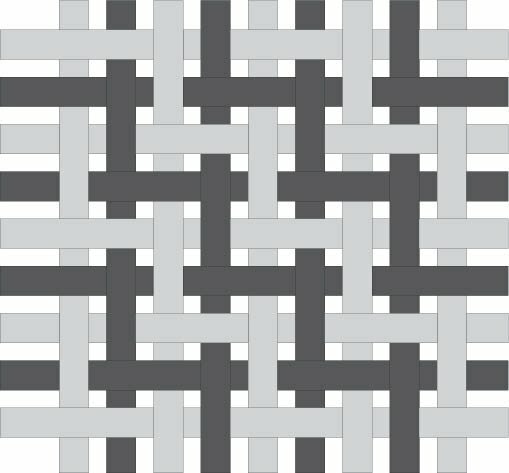 One of the most understandable weave guides I’ve seen. Given their popularity could I ask for some detail on barleycorn, serge, flannel, tweed and cord? Thank you. The lengths to which you go to illustrate every aspect of craft quite frankly astound me. 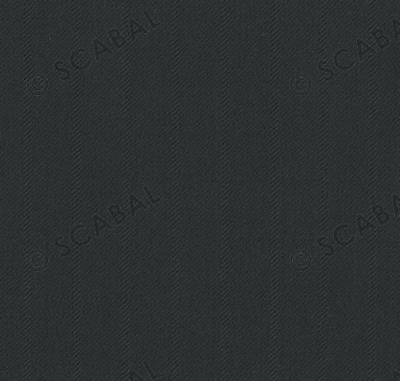 I’ve been compiling a rather simplistic version of this list as a quick personal reference, but it immediately pales in comparison to what you’ve created here with Scabal. I’m sounding like a fanboy, but in all candidness I believe you have done so much for the contemporary reception of menswear, luxury and craft all over the world. That said, I do find this list wanting for some positive and negative properties for each subgroup of materials. That’s particularly important for me since I’m looking to build up a crafted wardrobe befitting our tropical climate here. I have adequate office basics, but am very unprotected against strong gusts and prolonged torrents in the rainy season. I don’t care much for raincoats, especially given that many here are made in rather bad taste in terms of materials and style. Thus, my first major experiment will be a Chesterfield-inspired topcoat. Based on others’ writings and some information I found on Burberry’s classic windcheaters, gabardine seems to be the best weave for just such a purpose. However, I am undecided on whether to get the fabric in cotton or wool. Might you have any advice on that matter? Am I overlooking any potential disadvantages that gabardine exhibits in a humid climate? Should I choose an altogether different subweave? And perhaps a follow up post on the properties of the materials you’ve discussed, if that is at all feasible? Thanks Joseph, yes that is the plan. A post like this can’t contain anything more than simple definitions, but we will go into more detail on subsequent posts on areas like rain wear. That sounds positively appetizing (and certainly more efficient for editorial purposes.) I appreciate your entertaining my queries. Cheers! Once you have this information, how do you use it? But what does benefit is there? What can knowing do that not knowing doesn’t? It is a deeper level of understanding than most will need or want – as with any reference article (or footnote). 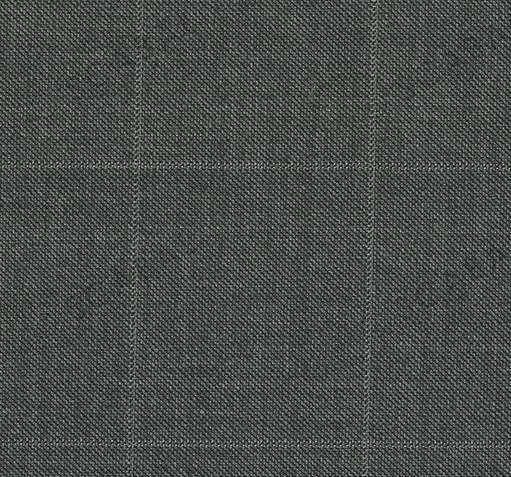 But for those interested in understanding the cloth they’re buying (as you can see in the other comments here) it’s useful to understand that flannel comes from a finish, and twill from weave, for example. And when you try to explain to someone that the features of a good piece of clothing can depend on all these things, it gives you a place to send people if they want to learn more. If you don’t, you don’t have to follow the link. I’m inclined to stay my input as Simon has already put it succinctly, so maybe just this nugget. 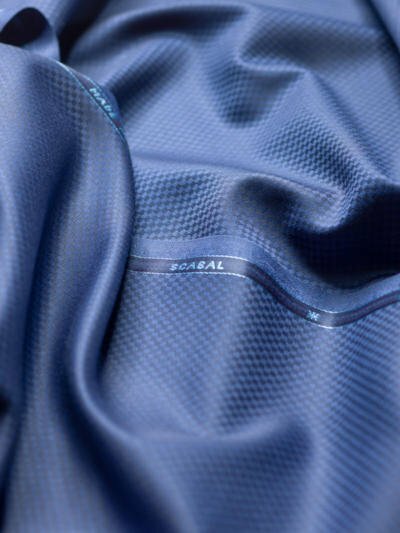 Good features such as breathability and drape can usually be traced back to the weave, and a reference for that helps. For example, understanding cloths benefitting the latter can be helpful for future commissions: it makes sense to know what to pick when you want your next jacket or trousers to hang and stop fluidly, provided that the human body is never a straight vertical line from top to bottom. On the subject of drape and such: would you have the lapels on a worsted wool (or other similar crisp cloth) waistcoat canvassed, Simon? The Logical Waistcoat Theory makes so much sense to me, and I would like to complement my wardrobe with the lovely little things. Thanks, and yes I would have them canvassed. Duly noted. Thanks again, Simon. Where is the jacket from in the header image? What a fantastic resource, Simon! I like seeing the diagram of cavalry twill. I have searched online for those before and never found one. 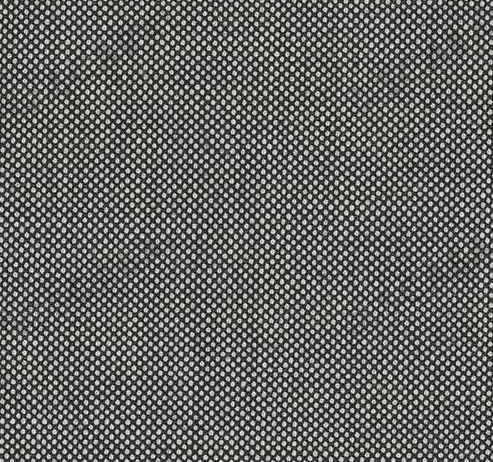 I put my cavalry twill trousers under a microscope a few years to figure out the weave and diagram it. When I get home later I’ll see if my discovery matches your proper diagram. I have also seen a few different weaves called “cavalry twill”, though I’ve assumed the double-rib you’ve demonstrated is the real thing. I’ve never heard the term “bell hopsack” used before, and I’ve only seen that one called “barleycorn”. I’d assume the terms are interchangeable. Unless barleycorn has a repeat of 6 warp yarns while the bell hopsack has a repeat of 8 warp yarns? 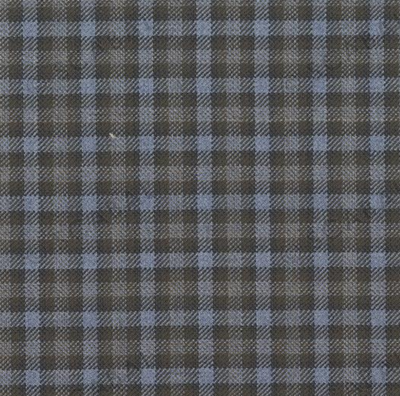 The Prince of Wales / glen check example pictured under section 2.1 is actually woven in a 2×2 hopsack weave, not a twill weave. 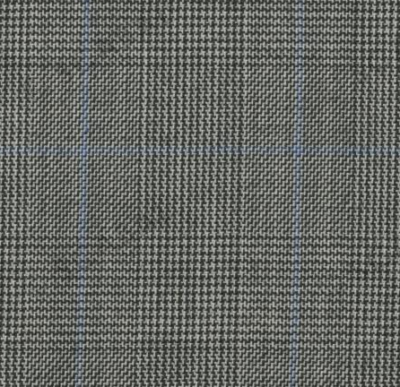 Glen checks can be woven in hopsack, plain and 2×2 twill weaves. 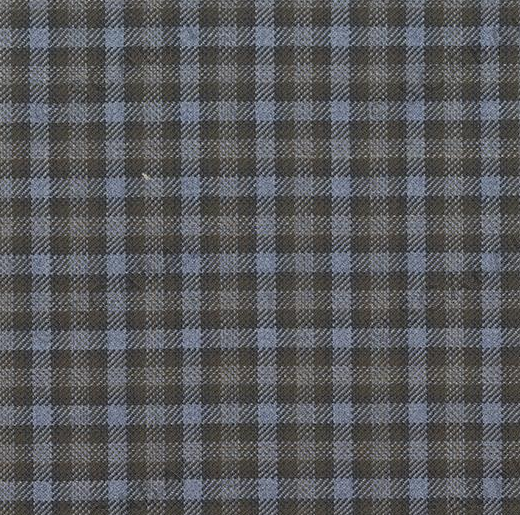 The authentic Glen Urquhart and Prince of Wales checks are woven in a twill weave. Here are two articles I wrote about different glen check, including diagrams of them. What is the fabric shown in the jacket on the featured image at the top? Seersucker can also be made by putting different amounts of tension on the warp yarns when setting up the loom. 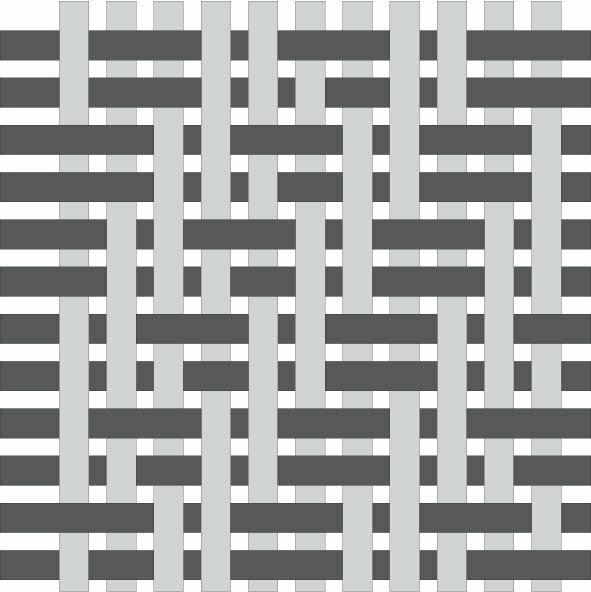 The relative “slack” in the alternating stripes gives the rippled effect when the cloth is woven. could you please share your opinion on cloth with a percentage (2%) of stretch in it? 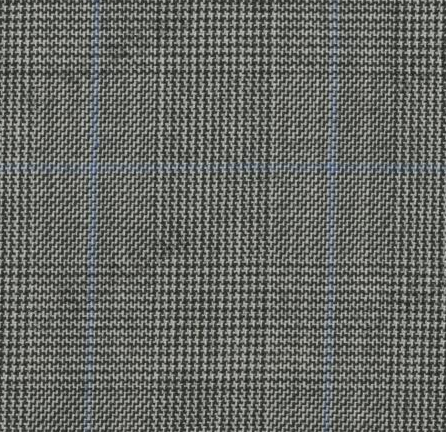 I saw some heavier tweed jacketing and some lighter tweed suiting from reputable Italian mills that had stretch, the fabric was appealing to me but I’m wondering about the stretch. How does the stretch affect the use, care and longevity of fabric? Over time might the fabric start to lose its shape? Will the stretch lose its power? 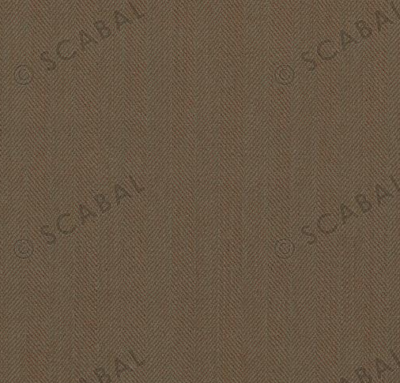 I think Scabal also makes some Cotton for chinos with Lycra. Your thoughs would be greatly appreciated. The stretch is unlikely to make the jacket wear any worse, it’s more that it won’t drape and shape in the same way as a 100% wool. And frankly you don’t need that much stretch in a jacket if it’s cut right. Trousers, perhaps, but not a jacket. Next week I will commission a bespoke jacket for spring/summer. I was thinking about hopsack from H&S or VBC. What do you think? Any alternative to navy? I am looking for something very versatile that could be easily dressed up or down and hard enough to be worn often. Thanks Simon! 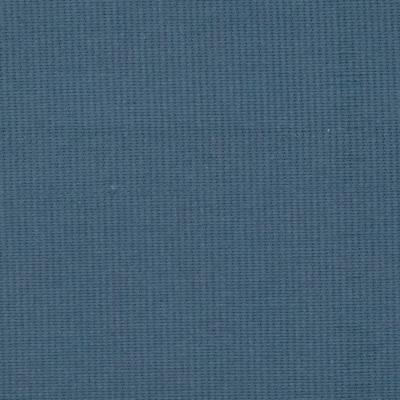 Is there any other color you would recommend apart from navy? 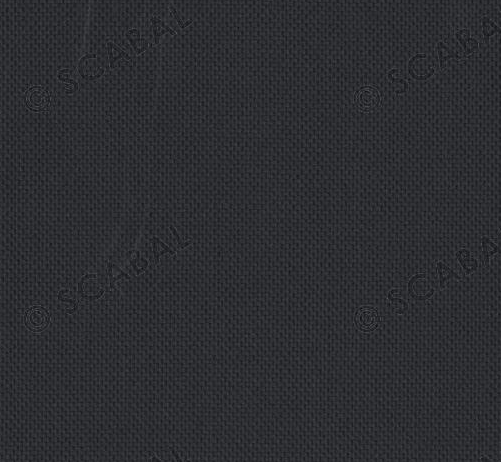 I know your hopsack from Caliendo and it is actually why I decided to go for this fabric. Thanks and regards! Luca. Why is it we don’t see more variety in linen weaves (and finishing)? 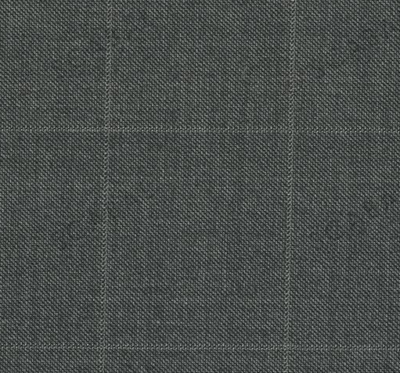 Linen herringbones, or linen corduroys, or brushed linen flannels? Is this a limitation of linen, or there just isn’t the market for it? 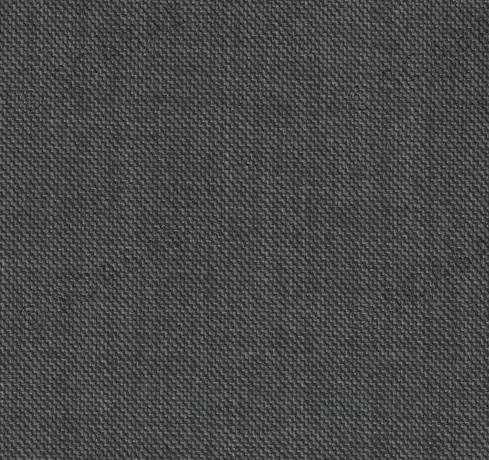 Is there a specific cloth called “chino”, or is that just the construction/weave? 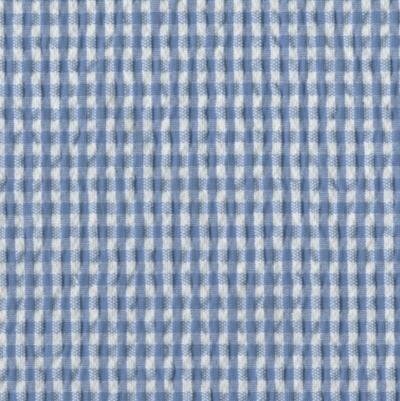 If the latter is true, what kinds of cotton twills are used to make chinos or trousers with similar formality? Ah, so theoretically chinos can be made of any sort of cotton twill that has been garment washed? There must be subtle differences in weight and comfort between the viable twills. Does any one of them perform better than the others? That takes a great load off my mind. Thanks, Simon! 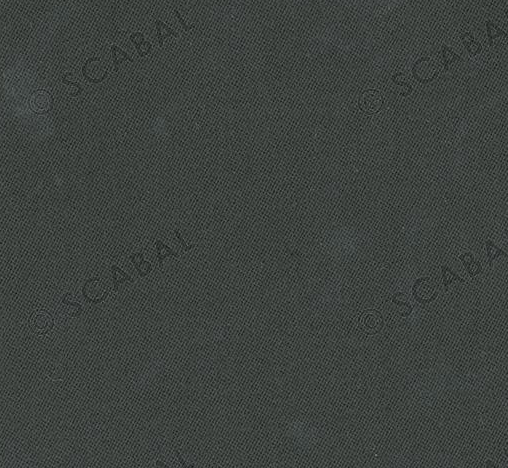 I am thinking of commissioning a grey suit. Darker than mid-grey but little lighter than charcoal. I want some structure in it and wonder what do you think of nailhead or sharkskin in such a suit. I want it to be formal but not super-formal. Like something Gianni Agnelli would wear with a blue shirt. Either would be nice. The shade and make will be the biggest things that make it formal or informal – don’t worry too much about the pattern. But if want semi-formal, nailhead or even herringbone would be nice. Not sure if this is the correct place to post my question. Apologies in advance if it’s the wrong place. I’ve bought some fabric to be made up some time next year. Any guidelines for how the fabric should be stored? Wrap in acid free tissue paper perhaps? Thank you for very clear explanations, diagrams and photos. Very informative and well organized. 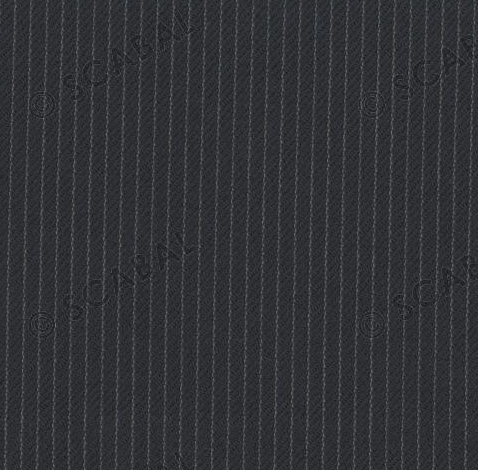 I would like to ask your opinion about the fabric for my tux. I have read several articles that say Barathea fabric is really good for a Tux. What makes it better option than the other type of fabric? 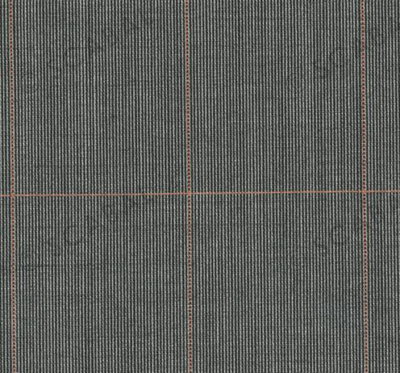 I have two option of fabric now, vitale barberis canonico Barathea or Drago Super 160s. 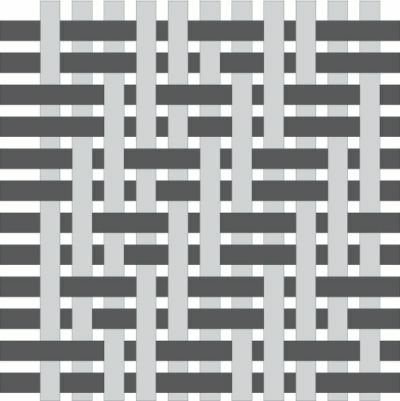 What is the name of the weave on the cover photo for this page?